By cutting the hard drive out of the equation, Simple.tv is trying to simplify over-the-air DVR. The startup is introducing a new product called ShowDrive for recording broadcast channels such as ABC, CBS, NBC, and Fox, Variety reports. 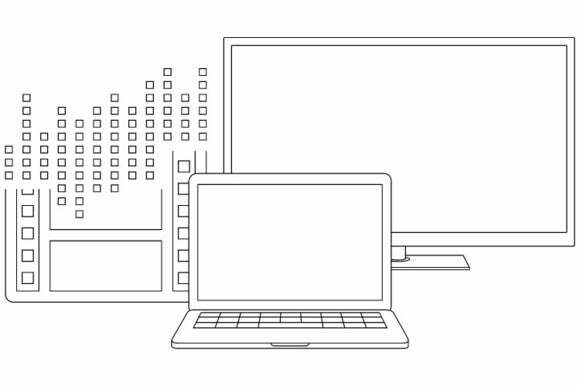 While other broadcast DVRs save locally on a hard drive, ShowDrive stores everything in the cloud, so users can stream their shows on TVs, phones, and tablets. Simple.tv plans to launch a beta in the United Kingdom in the next several weeks, partnering with an unnamed consumer electronics vendor on a standalone set-top box. This device will plug directly into the television, and will apparently offer some online video apps in addition to the basic broadcast DVR functionality. DVR service will cost 1 pound (about $1.55) per month for 100 hours of cloud storage, and 5 pounds for 1000 hours. U.S. launch plans are a bit, well, cloudier. According to Variety, Simple.tv wants to partner with television makers to put the broadcast DVR functionality directly into smart TVs. It’s unclear if Simple.tv will also offer a standalone box in the United States. Why this matters: Broadcast DVR is becoming a bigger point of interest as more people cut out cable TV. TiVo already offers an over-the-air version of its Roamio DVR, and has hinted at new products aimed squarely at cord cutters. Microsoft is adding broadcast DVR support to the Xbox One next year, and existing products such as Tablo and Channel Master DVR+ let users record programs to their own hard drives. Still, none of these options make use of cloud storage, which could be a lot simpler for streaming onto any device you want. If the Simple.tv name sounds familiar, it’s because the company has already produced a pair of broadcast DVRs with local recording, first on its own, and later in partnership with TV tuner maker SiliconDust. 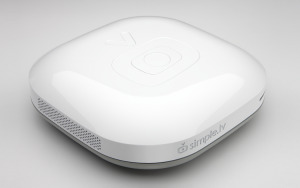 It now appears that Simple.tv is pulling away from making its own hardware. The ShowDrive website speaks of cloud DVR as a “platform,” which set-top box and DVR makers can integrate with their existing products. This could be a smart move if Simple.tv can get some high-profile partners on board. As for the legality of cloud DVR, U.S. courts have okayed the practice, most notably ruling in favor of Cablevision when it introduced online recordings in the late aughts. While the Supreme Court ruled over-the-air streaming service Aereo illegal last year, that was because the company was storing the broadcast antennas in its own warehouses. With Simple.tv and other existing solutions, users still have to set up their own antennas at home.